How Much Does a Pediatric Dentist Make per Year? A pediatric dentist provides preventive care and treatment of the mouth for children and adolescents. In the US, average annual salary is just under $153,000 compared to more than AU$204,000 ($159,772 USD) in Australia. Annual earnings in US dollar currency are similar in New Zealand and Canada at NZ$172,000 ($119,450 USD) and C$148,000 ($117,289 USD), respectively. Pediatric dentists in the UK earn more than £78,000 ($92,362 USD), followed by about R895,000 ($65,578 USD) in South Africa and Rs895,000 ($13,754 USD) in India. A look at geographic region, professional experience, and work setting can reveal earning potential for pediatric dentists worldwide. Pediatric dentist earnings by hour and year in select countries worldwide are provided in the chart below. Data and information from Payscale.com provides details on income and a career in pediatric dentistry. Read further to see the impact of geographic region, professional experience, and work setting on overall earning potential in this field. Pediatric dentists in the US earn an average annual salary of almost $153,000, and there is potential to add more than $4,000 in bonus income. The average annual salary for entry level positions is more than $110,000 while senior level positions garner an average salary in excess of $186,000 per year. Entry level pediatric dentists in Canada receive a yearly salary of more than C$107,000 and earnings increase with experience and responsibility to nearly C$181,000 per year for senior level professionals. The average annual salary for pediatric dentists at all experience levels is more than C$148,000 per year with more than $4,000 possible through bonus incentives. Pediatric dentists in the UK see annual earnings top £78,000 plus an additional average bonus income of more than £2,000 per year. Entry level starting pay can reach nearly £57,000 per year, increasing to almost £97,000 for those with the most experience in senior level positions. Pediatric dentists in Australia see yearly salaries that average more than AU$204,000 and bonus earnings adding an additional AU$6,000. The annual starting salary for entry level positions is about AU$148,000, with earnings increasing commensurate with additional experience to nearly AU$250,000 for senior level specialists. Pediatric dentists in New Zealand receive nearly NZ$172,000 per year, plus another NZ$5,000 in bonus income potential. Entry level positions garner an average starting salary of more than NZ$124,000 compared to their senior level colleagues who earn nearly NZ$210,000 per year. Pediatric dentists in India earn salaries that top Rs895,000 per year with bonus income averaging an additional Rs26,000. The average starting salary for entry level positions is nearly Rs658,000 per year compared to 1,109,000 annually for those at the senior level. In South Africa, pediatric dentists earn just under R895,000 per year, and bonus incentives can add more than R26,000 in additional income. Entry level pediatric dentists earn about R653,000 per year compared to senior level pediatric dentists who can see earnings reach R1,100,700 per year. Senior level professionals are rewarded for their additional experience and responsibility levels with annual earnings increasing between 69% to 70% in all countries reviewed in this guide. Among the regions with the highest level of pay, senior level pediatric dentists in Australia earn AU$102,000 more per year, representing an increase of 69%, compared to those in level positions. While incomes are lower, pediatric dentists working in India also see average annual earnings increase 69%, or Rs451,000 more per year. Pediatric dentists work in private practice, clinics, and academia. In the US, most pediatric dentists work in either solo or group private practices where earnings may be greater as well as additional flexibility in work hours and time off. In some geographic regions, dental care is funded under a national health system with a national pay scale model, meaning work setting may have little effect on earning potential in these areas. Those who work in the public sector, such as educational institutions, may see lower earnings and fewer bonus incentives. Working hours for pediatric dentists are often Monday through Friday during normal business hours. Some pediatric dentists offer Saturday availability and some evening times to accommodate client needs, and on-call hours may be necessary to handle emergency situations. While most pediatric dentists work full-time hours, there are part-time employment opportunities and flexible scheduling. Pediatric dentists typically have access to healthcare coverage, although as many are self-employed in the US, they may be responsible for covering these expenses on their own. Most pediatric dentists receive time off for vacation, sick days, and holidays. Other benefits may include allowances for training and continuing medical education and retirement savings accounts. Bonus incentives are common worldwide, though those who work in the public sector or in nonprofit organizations may see fewer opportunities for this additional pay. The US Bureau of Labor Statistics estimates a growth rate of 18% between 2014 and 2024, a rate that is much faster compared to other professions. This expected growth comes as a result of advancements in dental medicine and improved access to dental care and treatment. 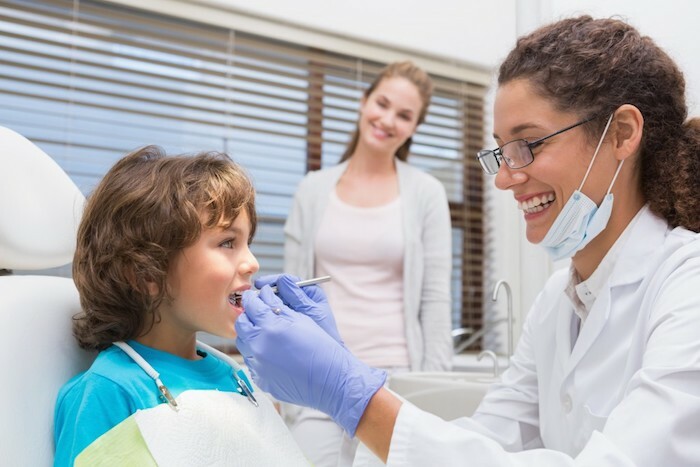 To practice as a pediatric dentist, a bachelor’s degree is required followed by dental school and advanced training that can take an additional four to seven years. Licensure and registration is required globally with the appropriate state or federal governing body. Pediatric dentists earn solid incomes worldwide, and while advanced education and training are required, the educational and financial investment are rewarded with a promising career. A comprehensive benefits and bonus package are common, though self-employed professionals may need to cover these expenses. Future growth is expected to outpace that of other professions, meaning continued stability in earning potential and employment opportunities.